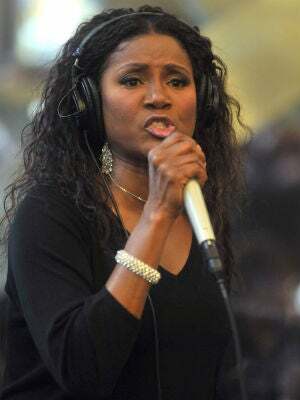 Gospel singer and televangelist Juanita Bynum recently appeared on Atlanta radio station V-103, opening up about past drug use as well as having had relationships with women, the Huffington Post reports. "I've done it all. I did the drugs. I've been with men. I've been with women. It's not a line. It's my life," Bynum said. "I took full responsibility in every area because every choice that I made, nobody put a gun to my head. These were my choices and I made these choices due to a lack of wisdom." "I'm not embarrassed about my conversions, and that's why I'm not insecure about being around people who have issues and struggles," she added. Following suffering a near-fatal attack by her estranged husband, Thomas W. Weeks III, in 2007, the former Trinity Broadcasting Network televangelist has gone on to become a New York Times bestselling author with her book, "The Threshing Floor" and launch several businesses, including a publishing company and a skin care line. Bynum has since moved on from her relationship with Weeks, and she credits having "purpose and destiny" for filling a longtime void from other negative periods of her life. "That abuse that I suffered was because I attracted after my own kind. That abuse was always sitting in me," she said on V-103. "I had already abused myself mentally and emotionally for years trying to fill a void that only the power of purpose can fill."